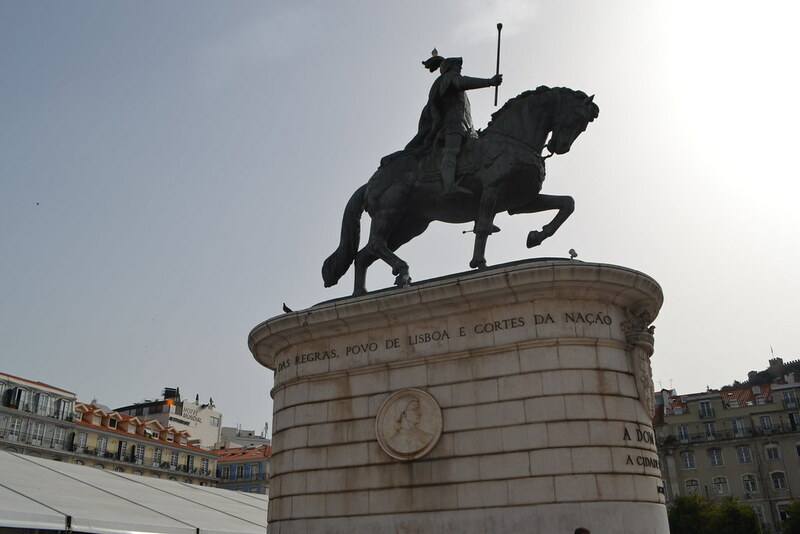 This was the day we planned to go to Castelo de São Jorge while here in Lisbon. We took the Metro once more, closer to this area and then walked up the castle. Passing this great little market in the main square, full of crafts and foods all handmade by those featured. 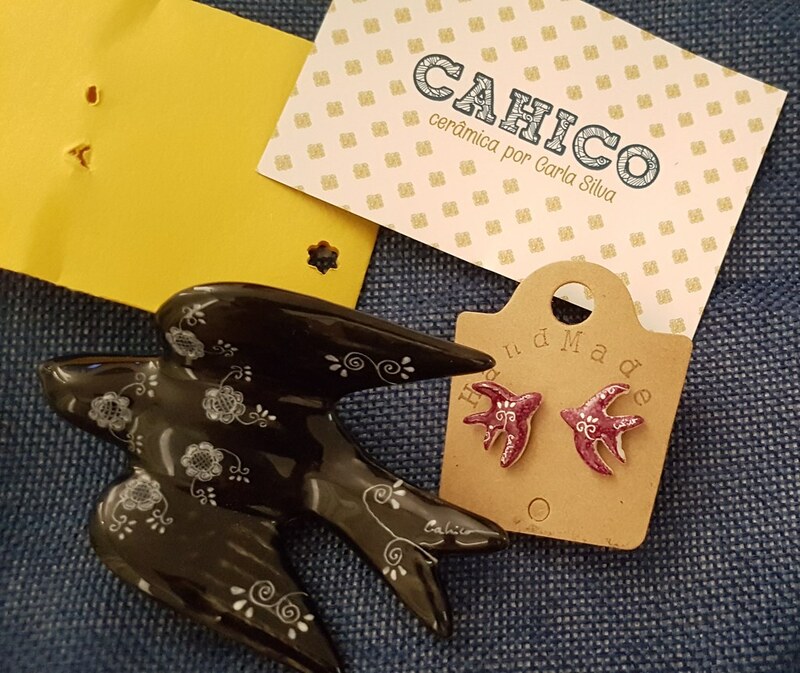 I ended up getting a beautiful pair of painted ceramic swallow earrings, a very famous symbol throughout Portugal. We also got some swallows, to add to our collection as we always get a little bird when in Portugal. 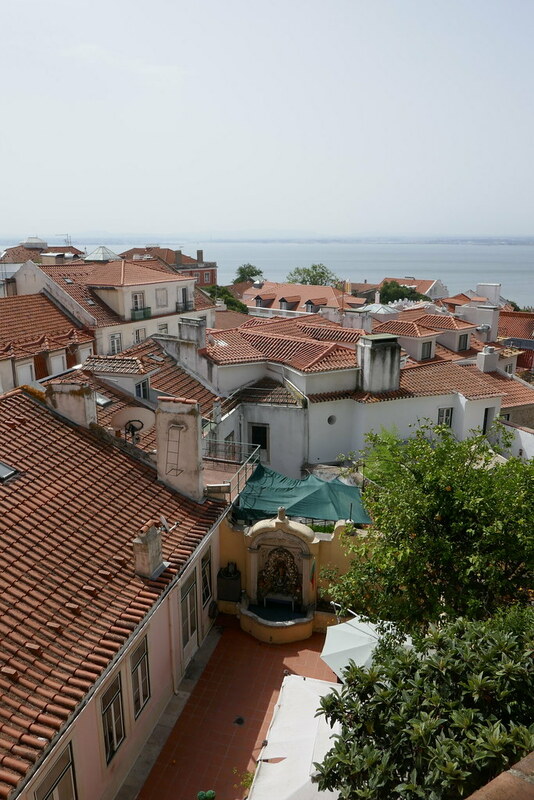 We also saw some beautiful sights on the way to the castle such as the beautiful European architecture of some of the buildings, with the bright orange roofs that stand out bold in the bright sunshine of the Portuguese Summer. 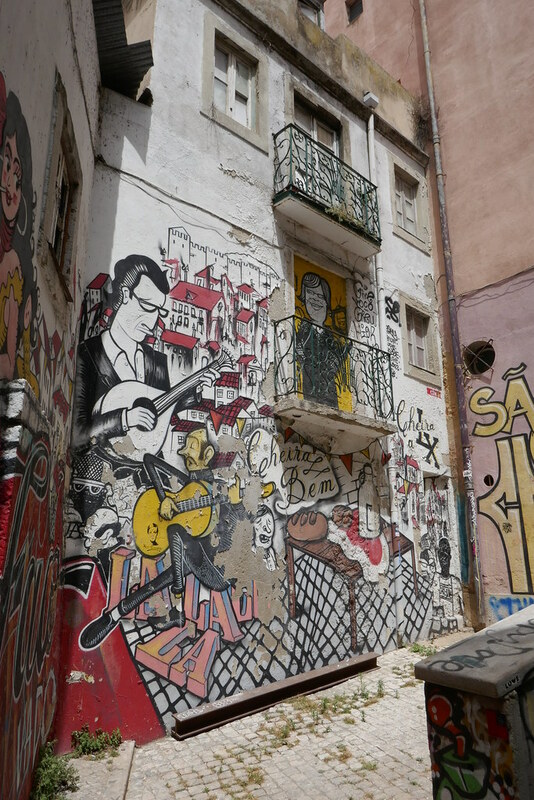 I also loved the great range of graffiti and art we saw throughout this walk through the town, you can even see some artists repeated with their bold styles. My favourite being this piece below with the morphing of different styles and subjects of different artists that have obviously added in their own parts to the wall, creating something far more complex and detailed that it would have otherwise perhaps been. 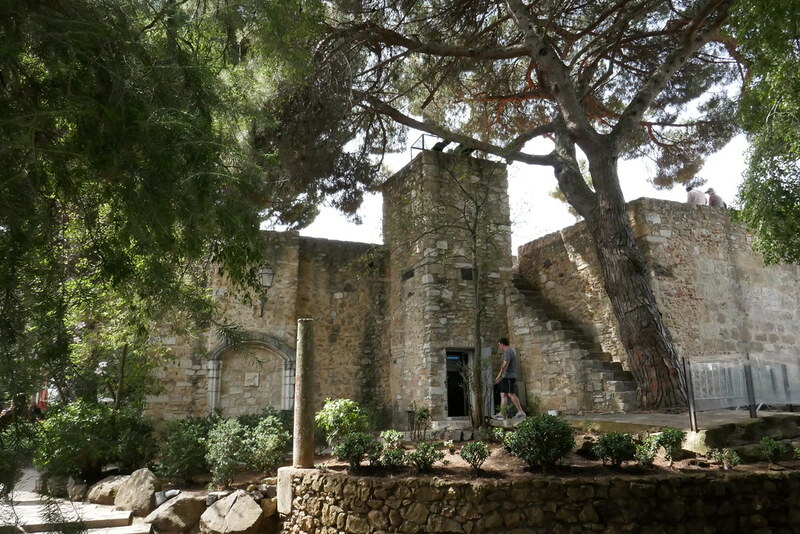 We then made it to our destination and after a little pit stop in a close café for a refreshing drink and ice cream we began our tour of the national monument São Jorge Castle, with the great little brochure [that you can get in several languages] in hand. 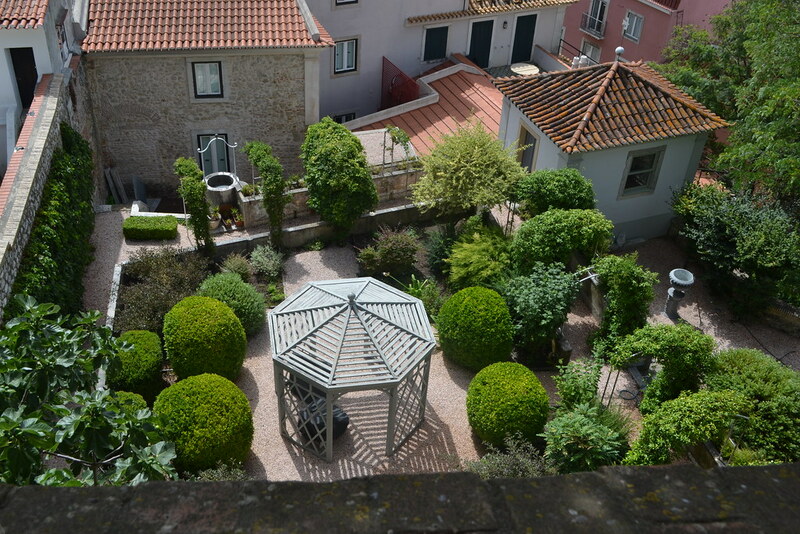 This Castle has been around since the 11th century when is was part of the Moorish residential area and has since taken on many changes and developments as the eras have past. 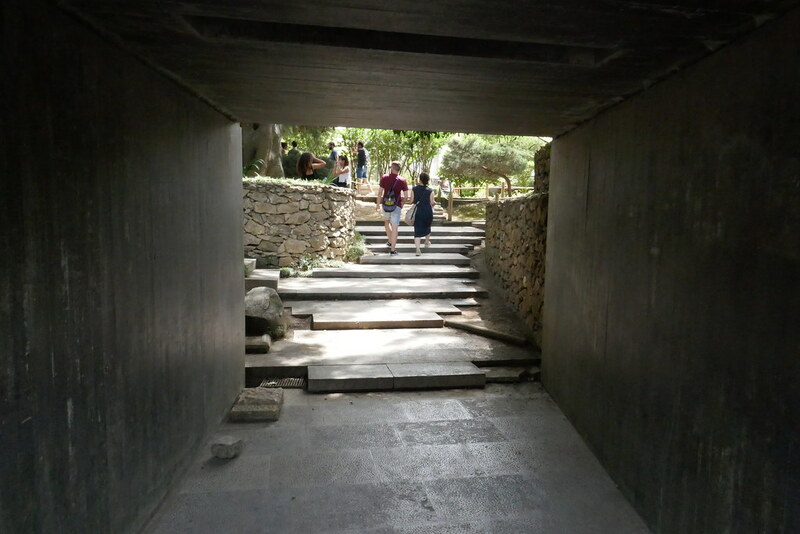 There is a great amount of information to read on the area while you visit which is great. You simple have to look at the place to see there is a great history and importance to it with the grand spaces and solid traditional castle walls and their battlements on top. And once again under the sunshine it really beings out the colour and aging of each brick that is beautiful. The views from this spot are also breath-taking being so high up you can see a great distance of the surrounding area. Making for a lovely photo spot and another grand show of the bright orange roofs. One more highlight of this visit was getting to walk along the battlements, getting a very different look at the whole area and much more of an understanding of the size of the castle and the different parts that it is made up of which is lovely to see. I also had a great moment of showing the connection around the world that music can make when a European girl started singing the theme from ‘Game of Thrones’ and I laughed with them at this and even though we didn’t speak the same language we both understood. 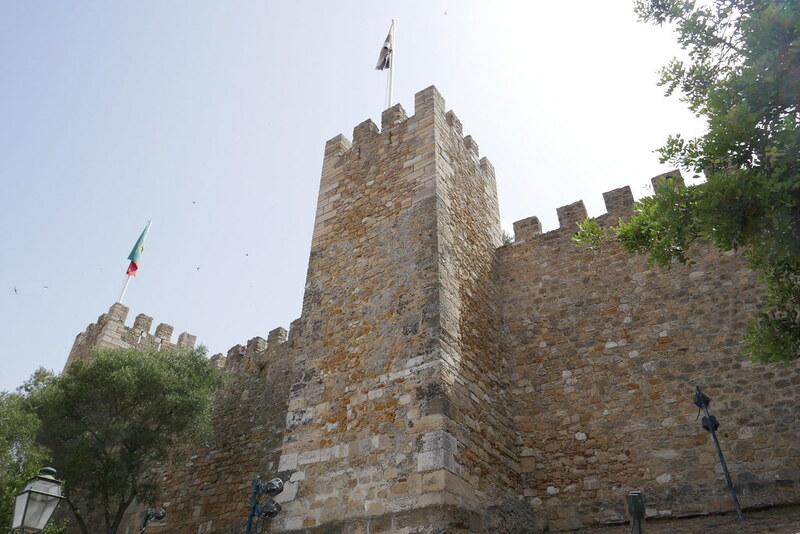 Overall the Castelo de São Jorge stands up to it’s name as a national monument with the wonderful picturesque setting and equally wonderful history to it. And so very much worth the 8,50€ entry. Afterwards we took another walk around the local area in search of a good restaurant pit stop. Finding this little café with large portions. My family had some great array of fish dishes while I had a steak and chips, a simple yet filling dish to get us all home again..